Specially designed to provide safety & protection for both driver and pets. The perfect guard to fit in your vehicle for short and long trips. Height adjustable, suitable for most hatchbacks, estates and 4x4's, this can be fixed without the use of tools and will go up in minutes. To install simply place the guard inside the vehicle, fit the rubber grips to the top and bottom of the legs, push the top grips hard against the roof, extend the bottom of the legs to the required length to fit your car and then fasten the legs in place with the thumb screws. 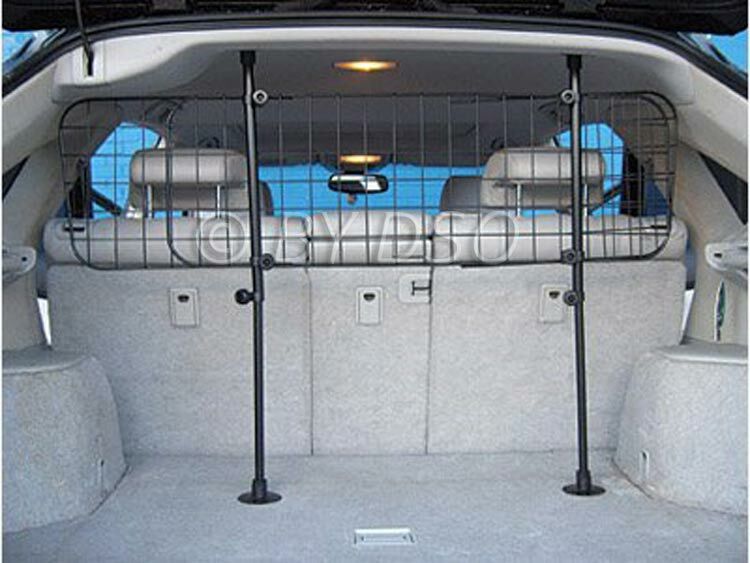 Suited for the boot or back seat of your vehicle to confine your pet in one area.